The Southern region of the Western Ghats in India primarily falls in the deciduous forests in the state of Kerala. One of the best places to explore the unique eco system of the Western Ghats, which is also home to a large variety of rare flora and fauna, is the national parks in Kerala. Kerala is a state that has something in store for all kinds of travellers. From the soothing and relaxing ayurvedic massages, watching the sun go down into the depths of the Arabian Sea to hiking and exploring the wildlife in the thickness of the forest,the state has it all ready for you. To have a face-to-face encounter with wildlife and experience the mother nature, head to these national parks in God's Own Country. Home to the largest number of the endangered species, Nilgiri Tahr, the Eravikulam National Park is a massive area that holds a biodiversity, which is unseen anywhere else in the world. The grassland ecosystem here can be accessed via Rajmalai, which is also the only region accessible to tourists. Having the largest population of the Nilgiri Tahr, calls for the protection of the area with utmost precaution and care. The national park remains closed during the calving season of the Tahr, which are in the early months of a year and requires a permit to enter during the rest of the year. The Periyar National Park is a large tiger reserve that spreads across three districts in the state of Kerala namely Idukki, Kottayam and Pathanamthitta. The national park is known for its well-guarded population of wild elephants. Apart from that, the park is also home to several other mammals such as the Indian Giant Squirrel, the Nilgiri Marten, the Nilgir Langur and many more. The national park is making great efforts towards the conservation of wildlife in India. The silent valley national park is an evergreen tropical forest which grabbed the attention of the media and environmental activists when the plan for a hydroelectric plant threatened to flood a large portion of the forest. A movement was started in the year 1973 to save the natural habitat of the Lion-tailed Macaque, which is indigenous to Kerala. After numerous efforts, the park was declared as a national park in the year 1984. The park today stands as one of the last untouched stretches of the Western Ghats and forms the core of the Nilgiri Biosphere Reserve. The Anamudi Shola National Park is home to a large variety of endangered flora and such as the Nilgiri Tahr, Indian Elephant, Indian Bison and the Flying Squirrel. 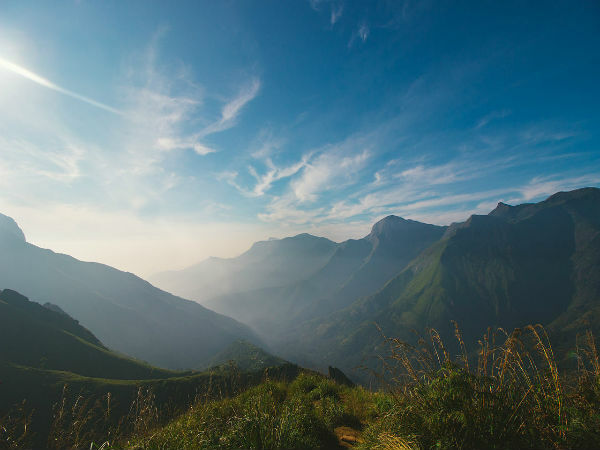 The national park, along with the Pambadum Shola National Park, Eravikulam National Park, Chinnar Wildlife Sanctuary and the Kurinjimala Sanctuary forms the humongous Anamalai sub cluster of the Western Ghats. The Mathikettan Shola National Park, shares the Cardamom Hilly landscape along with other national parks such as the Pampadum Shola National Park and the Eravikulam National Park. The park is located in the Idukki districtof Kerala. The forest was declared as a national park in the year 2003 in an effort to promote ecotourism, and multiple efforts of wildlife conservation in the area. The national park falls between Thekkady and Munnar which makes this place a perfect stopover. The Pampadum Shola National Park is the smallest national park in the state of Kerala with an area of only 1.3 sq km. The national park falls within the Allinagaram reserved forest and is also part of the Anamalai Sub cluster. Pampadum Shola is translation means the forest where the snake dances, which implies to rich variety of flora and snakes that can be found in the region.